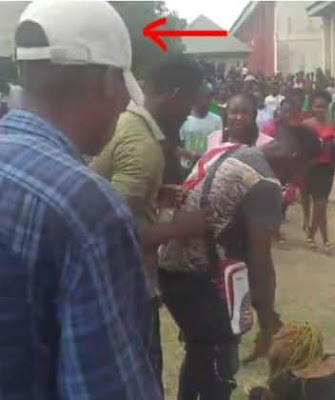 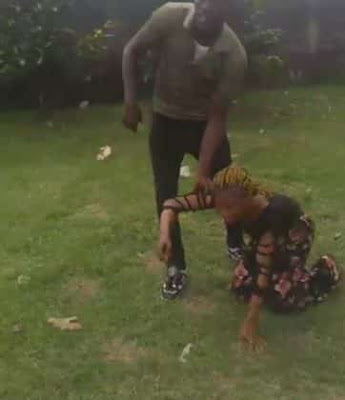 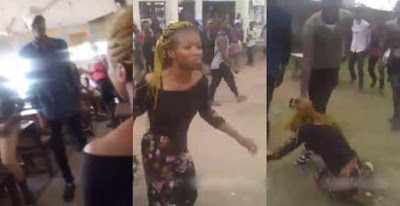 A female student of Michael Okpara University of Agriculture, Umudike, has been physically assaulted by the boyfriend after she allegedly dumped him. 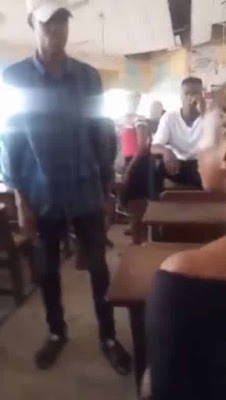 The woman identified as Jane was accused by the boyfriend of dumping him after he had paid her N20,000 school fees. 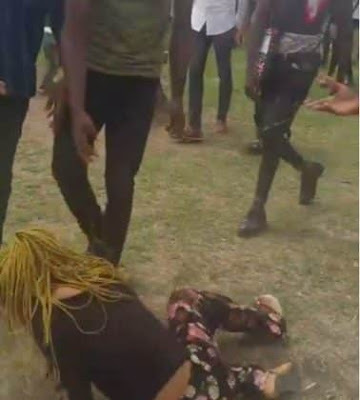 The angry boyfriend who couldn't take the insult decided to disgrace the girl by beating her in public as he demanded for his money. A large crowd gathered as the woman was being physically assaulted with many onlookers trying to intervene.